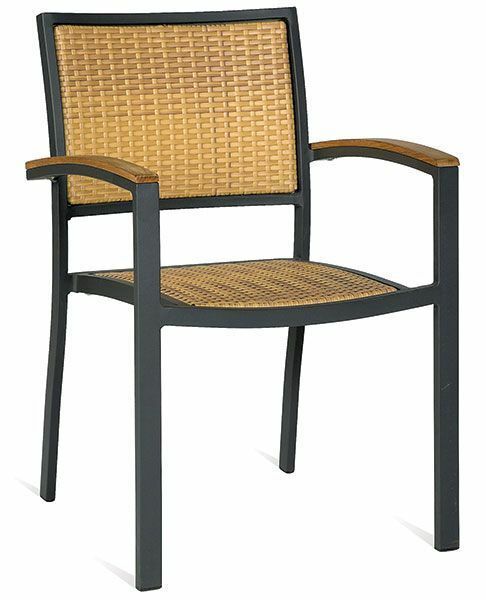 Aluminium arm chair with a durable frame in Dark grey and a Beige weave seat and back. Available from stock for a fast and free delivery. Manufactured for commercial use. Contemporary style outdoor café chair with close knit Java weave in beige or dark grey. Heavy duty frame suitable for indoor and outdoor commercial use.